If you are following the supplement market closely, you will have seen the first products with a new stimulant on the shelves. 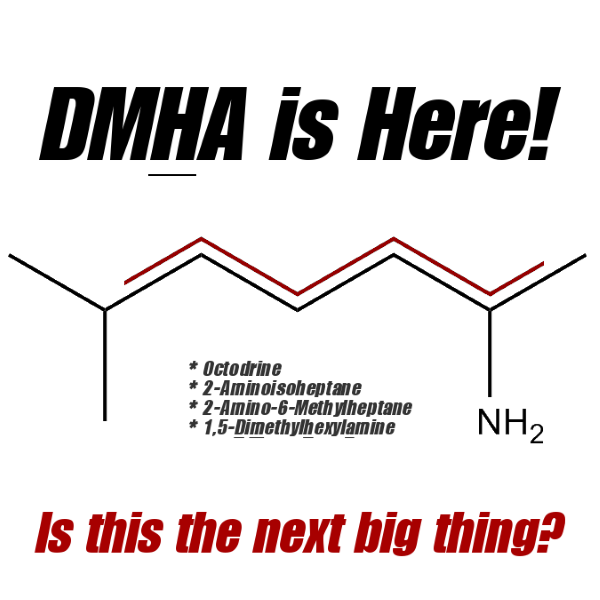 2-aminoisoheptane or DMHA – a supposedly worthy successor to DMAA aka “geranamine” (the stuff in the old Jacked3D) with unquestionable structural similarities to the original banned stimulant and a questionable efficacy and safety profile. With two other non-OTC agents that have been (ab)used to lose body fat for decades, namely ephedrine and clenbuterol, DMHA, which is also called octadrine and correctly labeled “2-amino-6-methylheptane” shares a history as an asthma agent (Monroe. 1947). Aside from the previously cited study by Monroe et al., a study that showed weak, but existing cytoxic effects in cancer cells by Craciunesco et al. from the early 1980s and an old safety study in rodents and guinea pigs by Fellows (1947), which allows us to estimate the “safety range” of the agent at a human equivalent roughly < 400mg (in rodents, the equivalent dose will already trigger tremors and sign. increases in activity), there’s unfortunately no scientific evidence to prove that the agent is (a) safe for human consumption and/or (b) even works as it is supposed to. Whether the active substance in Eskay Oralator inhalants from the 1940s is a legitimate successor to DMAA can thus only be answered based on speculation and information from the first users, as well as the fact that the agent ended up on Rasmussen et al’s recently published list of “novel stimulants in supplements” that are supposed ot “substitute for recently successful products based on ephedrine and amphetamine” (Rasmussen. 2015 | see Table 1 #8). 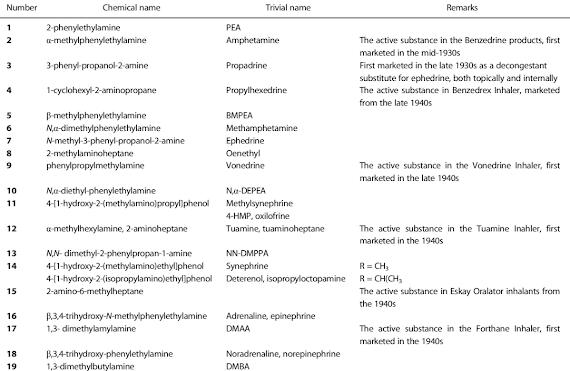 Table 1: Trivial and chemical names of the compounds supplement companies have dug up in articles from the 1940-50s to replace banned substances in their products (Rasmussen. 2015). So let’s look at what we have: The obviously unreliable user feedback is positive and in line with the implications of the fact that DMHA shares the same structural characteristics which allowed DMAA to interact with the trace amine associated receptor 1 and modulate dopamine and norepinephrine by increasing their production and reducing their reuptake. Figure 1: It is not difficult to see the structural ressamblance of “geranium” or “geranamine” aka “DMAA” (found for ex. in the old “Jack3D”) and “octadrine” aka “DMHA” (as it is found in supps like “InfraRed”) when you compare the two. The structural resemblance to DMAA (see Figure 1) is yet not the only thing the two agents with similar acronyms have in common. Another one is the lack of compelling scientific evidence of their efficacy and safety: Just like DMHA now, DMAA had no no real scientific backup when it first appeared on the radar of the average supplement junkie and it still blew many away – in the positive sense of being happy w/ the results,… at least until the stimulant effects wore off and the crash turned the positive into similarly negative feelings. Speaking of supplement junkies… in view of the facts that corresponding products are already on the market, we are certainly going to learn relatively soon about the efficacy and safety of this compound from hundreds if not thousand of human guinea pigs on “the boards” (fitness forums). Craciunescu, D. G., et al. “Structure-antitumour activity relationships for new platinum complexes.” Chemico-biological interactions 42.2 (1982): 153-164. Rasmussen, Nicolas, and Peter HJ Keizers. “History full circle:‘Novel’sympathomimetics in supplements.” Drug Testing and Analysis (2015). Study of Normal-Amylmethyl Carbinamine Sulfate’, 7 June 1945. All in the archives of the California Institute of Technology, Gordon Alles papers, box 15, unlabelled folder.